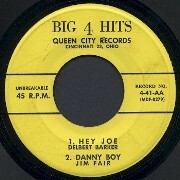 Carl Burkhardt formed Queen City Records in 1950 with the goal of making popular music available to consumers at a lower price. 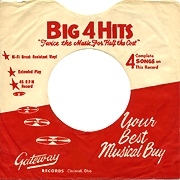 He hired local musicians and singers to cover the hits of the day and issued the covers on his three main labels - Big 4 Hits, Kentucky and Gateway. 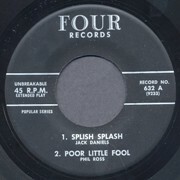 While most records were at that time sold for $.89 to $1.29, his sold for only $.49 including Big 4 Hits which gave the consumer 4 songs instead of the normal 2 songs. 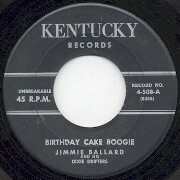 This was very innovative in the early 1950's. 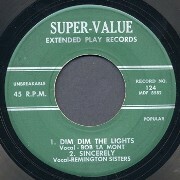 Many issues listed the artist's real names and others used psudonyms they made up. 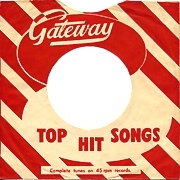 In the early days, Gateway was also known as Queen City Plastics. 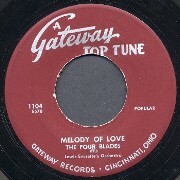 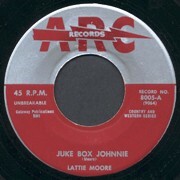 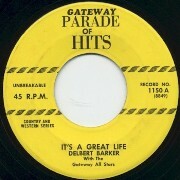 Most early releases on Big 4 Hits, Kentucky and Gateway, both 78 and 45 rpm, were pressed by Shaw Record Processing, also located in Cincinnati. 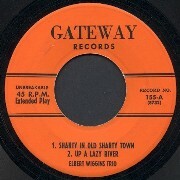 Shaw pressings are easily identified by the Shaw account number assigned to Gateway (6) found in the deadwax after the matrix number. 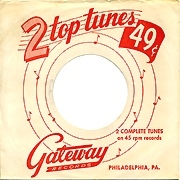 In early 1957 Burkhart sold RITE's discount labels to an outfit in Philadelphia, Pennsylvania. 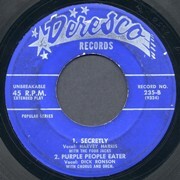 It appears that Rite continued to press all the records for the new owners. 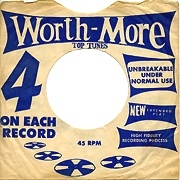 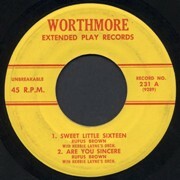 The Philadelphia owners occasionally issued the same exact records with other labels names that were less often used such as; Worthmore, Music Please, hep, Deresco, Super-Value, Coast to Coast and Four. 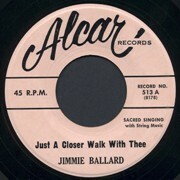 9000 Series - Polka, Dixieland, R&R, C&W and more. 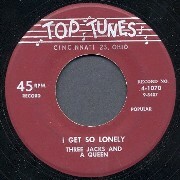 Note: This is a completely different numbering series than the CP (Custom Pressing) series.